Do you love water more than roads or are you a swim athlete? One of these best waterproof fitness trackers can help you to take your swimming to the advanced level. Today’s world is finding its passion in sport and huge investments are done to build a good sportsman within a man or a boy. After cricket, athletes are moving their interest towards other sports too. One of them is swimming. Swimming is an amazing exercise which enhances your performance, increases your vascularity and helps you in weight loss. It also helps in developing a skill of managing to breathe. Only an athlete knows the value of his breath. They know that their performance may increase if they do practice with a strategy in their mind. For that strategy, they are needed to keep an eye on their performance and the surrounding factors affecting it. The world which had taught their generations “hard work is the key to success” is gone. Today’s generation learns, “hard-work in the right direction is the key to success”. Breathe, many a time, set a man as victorious and sometimes only that breathe defeats the athletes. As we know, Sport is turning its face towards other such sports which might not involve running. Swimming not only helps you to remain fit but also finds the passion within it. An athletic swimmer, when swims, need to be very specific with his strokes and pace. Everybody parts have to move with a rhythm and if that fails, the speed may fall and one may slow down, and rhythm is something which a trainer or teacher can only talk about. If the athletes wish to improve himself he has to be very specific and have to practice the correct form. Now again, what is the correct form? For the solution of the problem, our sports industry has created a device which is known as “fitness tracker” it is waterproof and can measure swim duration, strokes, pace, laps and lengths, and your SWOLF rating too. Most of our viewers might have the knowledge of what is SWOLF? But those who do swim just to remain fit must know that SWOLF score is easily obtainable and somewhat interesting metric reported. SWOLF is an abbreviation for “Swim Golf”, and is a score obtained by adding together your strokes per length, and the time for the length. 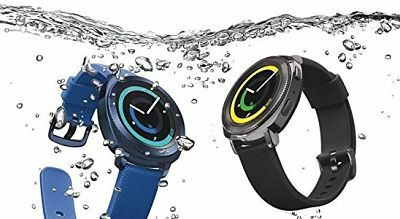 So let’s find out the perfect smartwatch for you in the list of best waterproof fitness trackers and smartwatch for swimming and for the outdoor lifestyle. This is a cool gadget helping an athlete to keep an eye on his performance. It is really very accurate and reviews are also good (for new buyers) and for those who do not trust on the reviews of other must use it; they should know about the coolest features which made it one of the best swim fitness tracker, with a small defect that it is surely and completely for those athletes who find their passion in swimming. It is very user-friendly and before use doesn’t ask much to configure. Has every feature for which an athlete would buy a swimming-waterproof-fitness-tracker, i.e. it measures heart rate, records every stroke and the length to which you swim. Changeable battery, easy to remove and easily available online. Work out of an athlete should be recorded and the growth must be analyzed, this device really makes it easy to upload the data collected by it during the workout on computer or pc, WIRELESSLY. Apple, as we all know is doing great with his technology. It is also getting a very good support from the customers who find technology and luxury attractive. 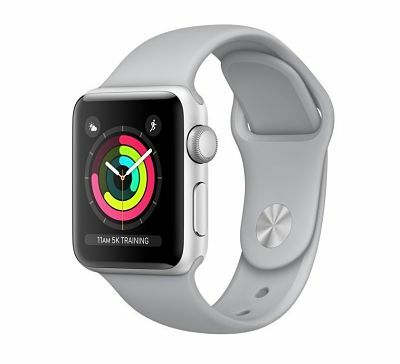 The Apple Watch Series 3 is the also one of the successful attempt made by it. It is evident from the new feed that Apple is constantly working to develop its hold over smartwatch. It is waterproof and not water resistant. Its appearance is also cool and hot; one must buy it if the subject finds its interest in luxury and sports side-by-side. It’s also the best fitness tracker with heart rate monitor gadgets out there. It can track running, swim and also sleep. This cool gadget also allows the user to have a hold on its time too. Best heart rate monitor technology and can be plugged into the different gym equipment. There are 5 various colors for Apple watch series 3. It is a cool new device which has really changed the fashion of the fitness tracker. 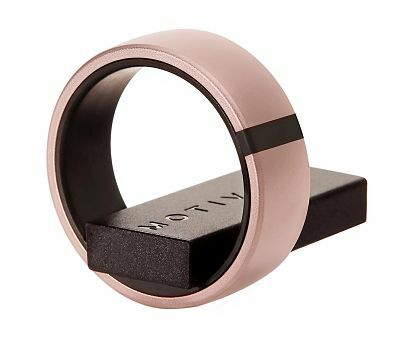 It is a fitness tracker but, unlike others, it appears as a ring. It is really cool and is very useful. It has all the features which the other fitness tracker possess but, possess a compact size. The ring measures active minutes, calories burned, distance, heart rate, sleep, and steps, and automatically detects activities. Unlike most other fitness trackers, however, you can’t check your progress on the device itself. On the inside of the ring, you can see the tiny optical heart rate sensor on a flat edge. It syncs with your phone over Bluetooth and is waterproof to 165 feet, so you can use it in the pool without worry. Fitbit, as we all know, is the best company to supply sports-wearing. 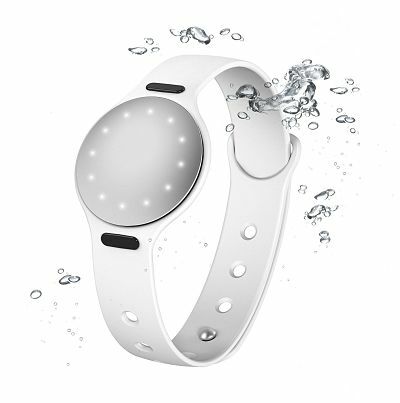 It had yet given such sports devices which may or may not bear little-wet conditions but now has launched one of the best swimming fitness trackers. It is trending in the market and is famous for its good quality and hot looks. So, the best selling wearable company has finally decided to add a swim friendly tracker to its collection. They had already have launched the Fitbit Flex 2. 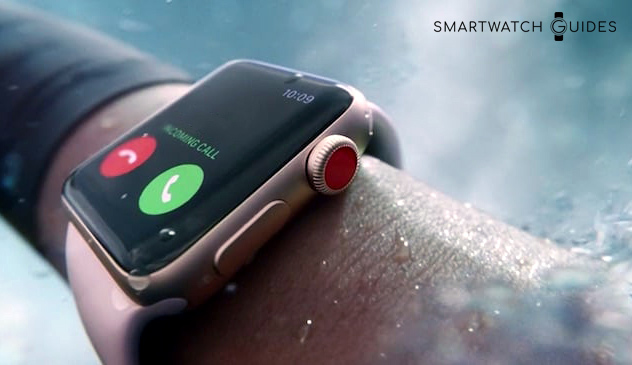 It is waterproof up to the depth of 50 meters, like the Apple Watch Series 2. Thus, if you work out during rain or continue to remain training yourself even after sweating to the worst then also you are safe and your device is too. This is how the company explains the device and the features can be well explained on the same basis. 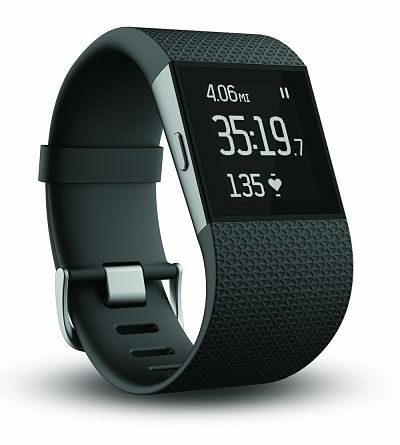 The Fitbit surge can tolerate a pressure up to the resistant of water of 5ATM. 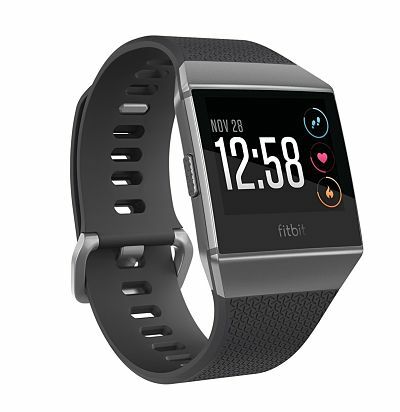 Another best waterproof smartwatch from Fitbit, the Ionic has extensive abilities to work as an exercise companion and wellness monitor. If the Apple Watch is a smartwatch first and a fitness tracker second, the Fitbit Ionic feels like the inverse. Fitbit has an edge in terms of battery life and its established fitness platform, especially when it comes to features like sleep tracking and advanced workout breakdowns. Drag yourself into the pool because Fitbit Iconic is waterproof. When it comes to smartwatch features, Fitbit has clearly been paying attention to the competition. For starters, it has its own operating system and app store called the App Gallery. if you’re looking for a smartwatch that puts fitness first, the Ionic deserves a spot on your short list. Garmin finds its features really better than the other. It really is difficult to decide between the two watches, but moving forward I must say that this is really a good and best waterproof smartwatch for those who find their passion in training themselves till they get wet in sweat; for those who are passionate about swimming and for such passions which involve indulging in water. 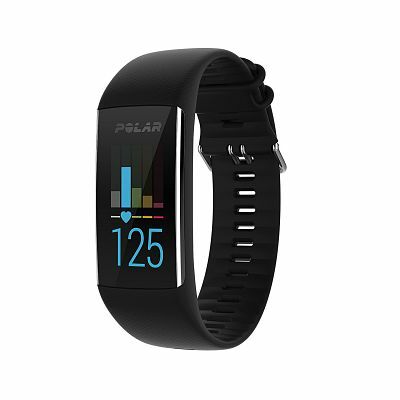 This is a very good wearable which has a built-in GPS; and its battery-life, what a normal electronic-user wishes to have in his fitness tracker, has the same. Its battery life is really long. It can also, as defined before, be used for other sports and is not only for swimming. There are only some, only a few devices which support the whole day use. Vívoactive is among one of them. It is comfortable for all-day use. It is equipped with the other feature which is really special it is when the user’s smartphone (with which the smartwatch is connected) gets out of range then also the device will continue to work. Additionally, it can be paired with every other device such as laptop and i-pots etc. The Vivoactive HR seems to be able to do it all. There’s all-day activity tracking (for things like steps, floors climbed, calories burned and sleep), smartphone notifications from your iPhone or Android device. It’s obviously the cool features which are added to it after it is being upgraded. 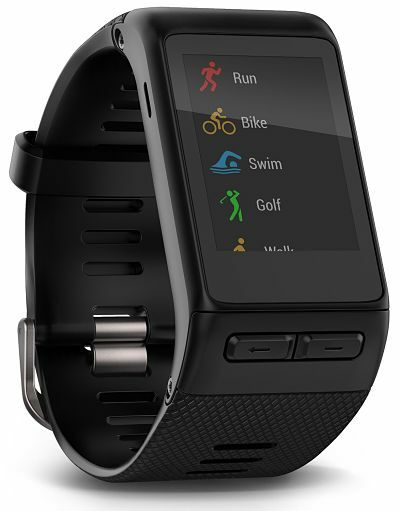 The Vivoactive HR (heart rate) is a better newer and is an updated version of the preceding Vivoactive. No comments on quality as the users must be familiar with the quality it provides for its users, in the gadgets. It is really an amazing gadget and has all the quality with an additional quality and specialty of heart rate monitor. It has a built-in feature which can decide and can tell that what the workout intensity was. 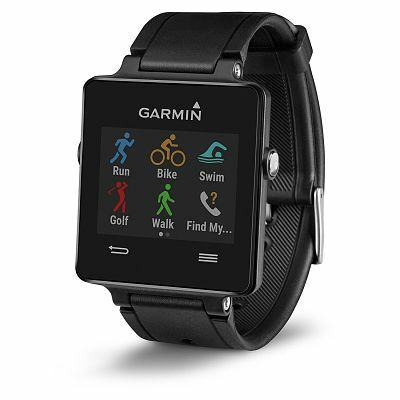 As it is the upgraded model it can detect what sport are you indulge in. It is this much smart that can tell you exactly how many floors you have climbed. We all are well known to the quality which Samsung offers and provides. This huge company, after creating and giving us the best cell-phones, televisions, and various other machines has now launched his own fitness tracker. I found, in the fitness tracker, the same quality as it can be found in other machines of Samsung. One of the reasons to buy the best sports smartwatch is that it’s the first ‘Spotify Watch’. Add a pair of Bluetooth headphones and sync some music from the streaming platform. Also, you get the accelerometer, heart-rate sensor, gyrometer, barometer, and ambient light sensor. Swiping down from the top of the display brings up quick-access settings icons, including ones for battery-power management, water-resistant mode, brightness adjustment, and music playback. A swipe to the right brings up all your recent smartphone alerts, while a swipe to the left reveals the app drawer. 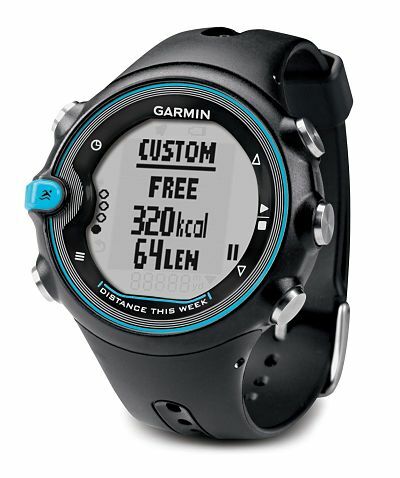 The entire watch is water-resistant up to 50 meters, making it capable of tracking swim exercises. You can buy this best waterproof fitness tracker under $300. This is also one of the best swimming and further, the best water resistant technology which traces your swimming strokes. It is really a good looking device; a very good feature which it provides is: it has no screen and that’s why it is more water repellent. Swimmers opt it at the time of their training. The Shine 2 SE is waterproof for up to 50 meters of depth. It is swim freestyle and does underwater flips at the wall, and the Shine 2 SE didn’t have any trouble with counting those laps. It was 100% accurate during the whole swim. 6 months of battery life, and slim and lightweight features of the Shine 2 are still near unrivaled. The A370 looks almost exactly the same as the A360. Both have beautiful, bright, full-color TFT capacitive touch screens that show the time when you move your wrist. Polar brings all-day heart rate sampling to the A370, which also works well in swimming pool. This is waterproof up to 30m in the pool. Like many fitness-tracking apps, Polar Flow (available for Android and iOS) has a lot going on. There are tabs for your main feed, which displays your daily activity and workouts, as well as updates from any friends you’ve added in the app. The A370 wins bonus points for using a micro USB cable instead of a proprietary charger. If you’re a serious athlete, a more fully-featured GPS watch would be a better investment. Whatever you intend to do with your fitness tracker, be it for outdoor activities, exercising, workouts and also your general daily life, a fitness tracker will help you to track of these. After extensive analysis, we summarized a list of the ten top quality and best waterproof fitness trackers 2018.